Sometimes we dogs like to indulge just as much as our humans. My human, Wendy, loves 10,000 Waves when she needs some R&R, but since they don't have tubs for bubs, I usually get my fur washed and groomed at one of the local pet spas. ENV is one of my absolute favorites! I just love going to the groomer and ENV Pet Spa is easy for travelers to find, it’s right on Saint Francis Drive, the sign is visible from the road. The only downside is your boss needs to make an appointment before you get to Santa Fe. This place is so exclusive it can takes weeks to get an appointment, especially for a big hairy guy like me. They really take their time to make me look just as handsome as I am. They cater to all hair types and can do just about any cut you want. It’s your time to get your teeth brushed, a bath, a haircut, and your nails done for your girl. You wont believe this, they even have a service to pick you up at your own Santa Fe vacation home and drop you back off! I am certain you will want to go someplace to freshen up after traveling in the car or plane for so long. I also love Paws Plaza and their hydro-massaging baths; it helps clear all the dirt out of my coat I get from running around the neighborhood, but also gives me relaxing back and belly rubs. Now that's the stuff! Not only will they make you look awesome, they will give you pointers on how to make your owner happy by teaching you good manners and all sorts of other ways to earn treats. Barks and Bubbles is another premier pet spa. They have a welcoming environment where you feel safe being dropped off to play. 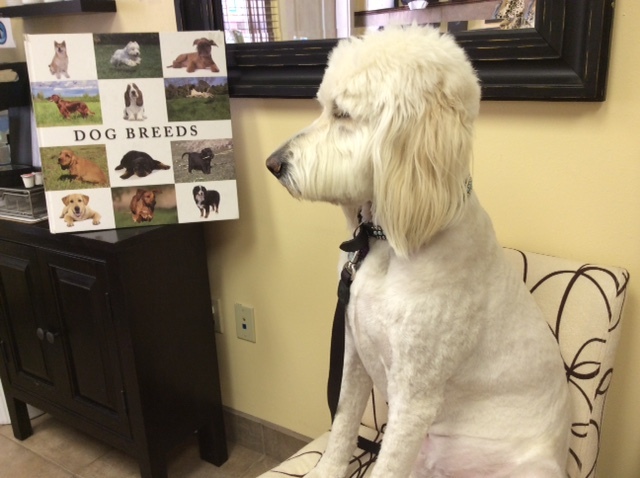 Not only do they offer full-service grooming, but also daycare/playtime services, and overnight facilities. I heard my friends don’t mind taking a break from their owners if they can stay here. I went here once when I couldn’t get into ENV and no appointment was needed! It was good service and great for Wendy when she was in a hurry. Besides, she was able to get me all sorts of treats and load up on everything we needed since we were about to hit the road. Here is another option that offers boarding and grooming along with other services. Most of the time we don’t like to be boarded, but if needed this place is a great choice. 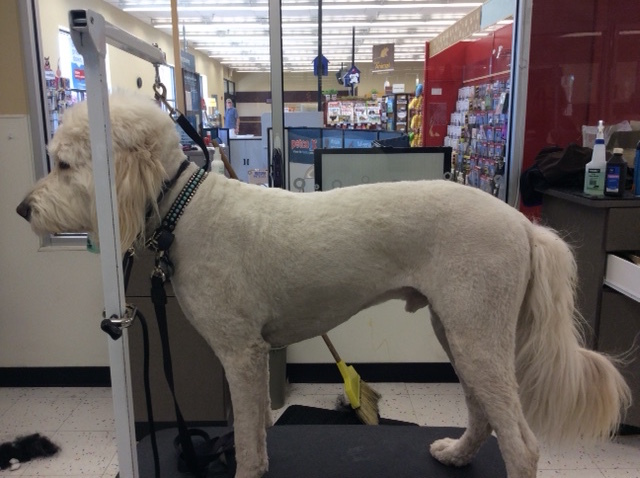 If you are skittish around new humans, or if your owner is more of a hands-on groomer, there are also several owner self-serve places that usually have great treats as well. Critters and Me is a one-stop shop, which means less car rides for us, but they make up for it with their treats and food selection. They provide everything your human would need: shampoo, conditioner, rinses, fur brushes and tools. They also let your owner wear an apron in case you get the wiggles like me or have too much fun splashing in the water. This is another place that offers more than just a good cleaning behind the ears. They have fresh, baked treats, accessories, toys, and beds. When it comes to cleansing canines, they really care about you and your human's comfort. They have raised tubs to help your human's back, offer all the supplies needed, and make sure the tubs are disinfected between uses. Clean pups are happy, healthy pups! With so many great adventures around Santa Fe, sometimes our humans travel without us. This is can be a total bummer, but it doesn't have to be if the right replacement humans are found. 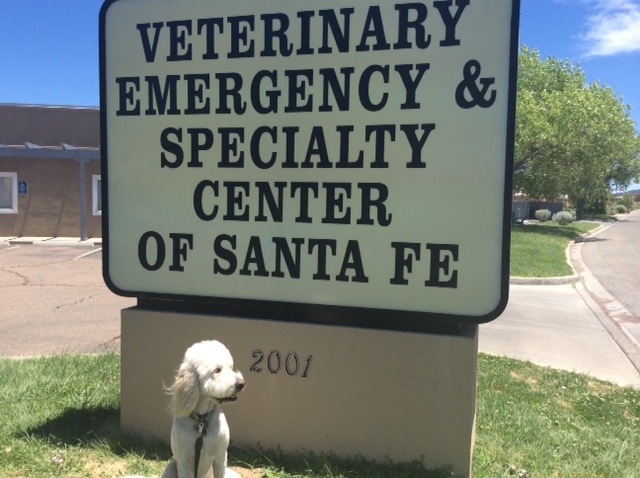 Since Santa Fe loves dogs, we have some of the friendliest places for us doggies to stay. This is a great reliable, professional, certified, company that cares for pets wonderfully. A variety of services to keep your pets happy, including; dog walking, feeding, light grooming, playing, exercising, pet taxi, administering of prescribed medications/supplements, include insulin injections, aerokat feline asthma aerosol. 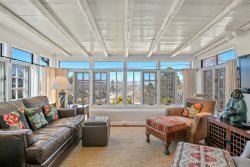 Lilly Marie is now available to offer her quality comfort pet care for visitors and travelers to Santa Fe's pet friendly hotels and vacation rentals affording you the ability to travel with your pet(s) and have the freedom to sight see the city different. Dog Wonder has some of the best reviews online and the nicest humans. They give you lots of attention and exercise, they aren't afraid to take you on adventures, and they make me feel like I have a new two-legged friend for life. Another fave of mine is Fido's Bed and Biscuit. Now you have to be a social kind of pup to stay here; luckily, Wendy made sure to work on my dog to dog friendship skills early on, because Fido’s Bed and Biscuit is a crate free environment. They watch us inside and outside to make sure we are playing well together and it sure is fun to romp around the grassy areas then cool off under the shady spots. At Fido’s Bed and Biscuit you can stay over night or just for the day depending on what works best for your family, but they always make sure we doggies are comfortable. Now Lucky Dawg Daycare has given their workers extra obedience training because safety is one of their main concerns. Their staff has been trained in basic animal first aid as well as understanding our behavior, which is a great skill since very few humans actually speak dog, most just pretend ;) Plus they are centrally located, which makes it convenient for your owner no matter where your vacation home is. Make sure you owner checks out the offered sessions, because they have the choice to have you come play for the whole day or just half day. Teca Tu is celebrating their 20th year of loving and servicing us pets. That means they’ve been catering to their four-legged friends for 140 dog years! They truly have so much to offer including pet apparel, neckwear/harnesses/leashes, gourmet treats (which are my favorite), dining accessories, beds, toys, and specifics for trek and travel. 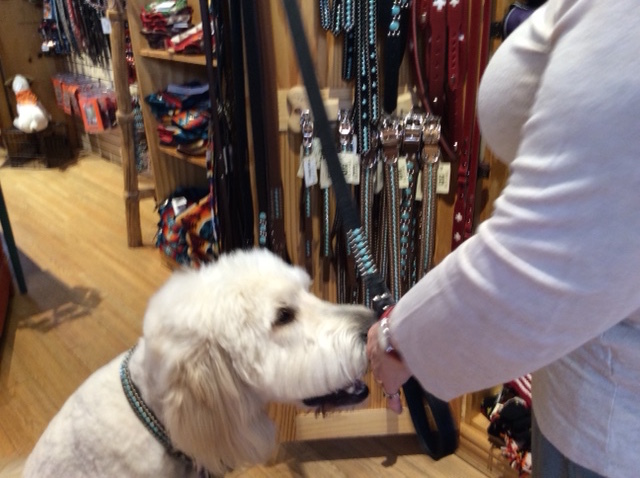 Here I am sniffing out which raw-hide, jerky treat I want to take home. And check out these leashes and collars! A matching leash and collar is the canine equivalent to a matching shirt and tie. We too like to dress to impress! I act like I’m a tough guy, you know the strong silent type, but I must admit I too can be...what do humans call it- “under the weather?”, “sick as a dog?” Which is not funny, but I guess sometimes true. 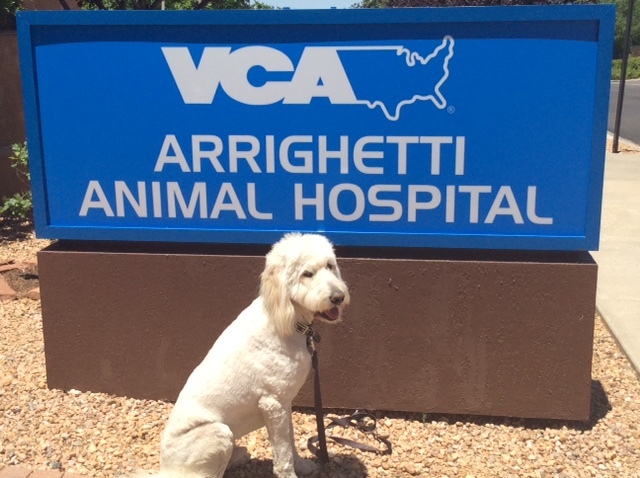 When I am “sick as a dog,” Wendy takes me to either VCA Arrighetti Animal Hospital or Santa Fe Animal Emergency Clinic PC. 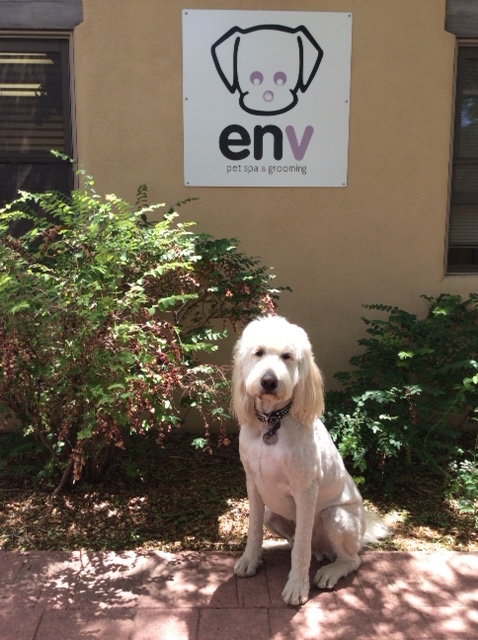 Both have skilled veterinarians and friendly staff who help me get back on paws and out in the yard.